At least we’ve found this to be true in our own relationship. The note scribbled on a piece of scratch paper tucked secretly under the pillow. Or the quick kiss on the forehead in the middle of a busy sidewalk while waiting for the “walk sign” to turn before crossing the street. Small gestures that make your heart flip & can change the entire course of an ordinary day. It's difficult to put into words how much we enjoyed working with you two. We are so grateful that we were lucky enough to not only have you capture our favorite day, but to SHARE it with you as well. 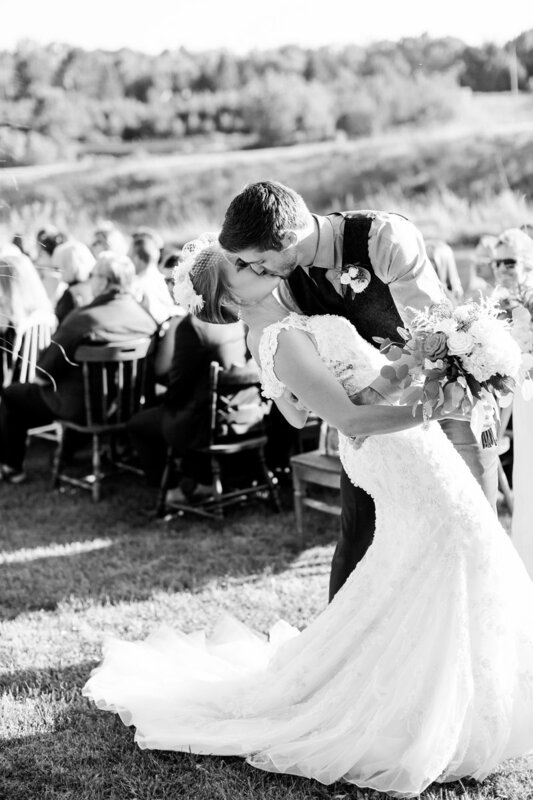 You perfectly captured every ounce of love, support, joy, & pure happiness on our wedding day. You have this authentic way of making sure everyone feels taken care of, loved, & supported. You are the perfect duo with the biggest, kindest, sweetest hearts that make every second spent with you so EASY & fun. We are so grateful for the photos that we can't seem to put words to, but most importantly we can't thank you enough for claiming a chunk of our hearts as friends. You two captured, created, & joined in on the most significant, emotional, & vulnerable day of our lives. Not only that, but you have committed to continue to support our marriage and the marriage of others through your constant dedication to love. I could write a series of accolades about the two of you; including but not limited to your professionalism, creativity, joyfulness, kindness, attention to detail, & AMAZINGLY talented eye for beauty in every picture you take. I could tell people how you two navigate your job with such purpose & intention. But really, I would never be able to make anyone understand my true feelings about you guys. Thank you. Thank you. Thank you. Blessed. There's no other way to describe our experience with you! When we were searching for a photographer for our engagement & wedding photos, we were looking for someone who shared our faith & produced original work, unique to each client, at a professional level. You met & went above & beyond each of these criteria … but that's only half of it, maybe not even half and certainly not the most important part. You are fun, invested, driven, centered, focused (pun absolutely intended), & compassionate. Your presence is electric & such qualities make you more than just photographers. You have now become a part of our story, people we count as trusted friends. 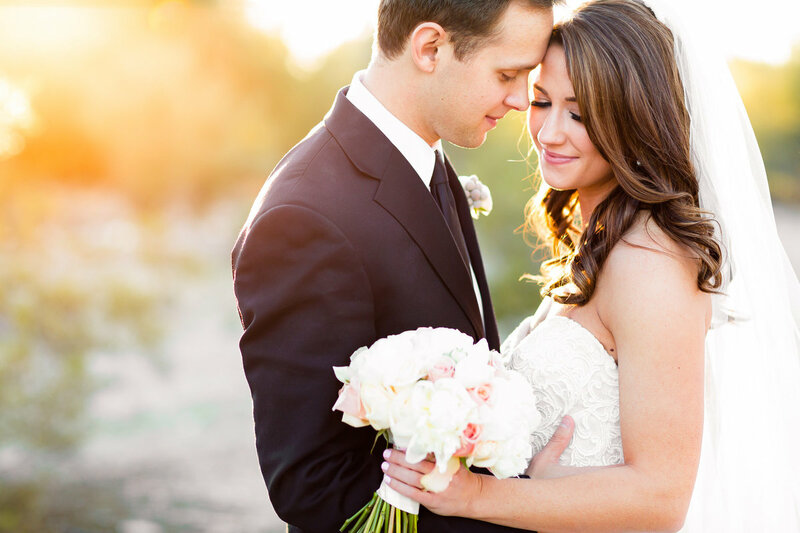 You were a dream to work with — the best decision we made for our wedding (besides each other!). You went above & beyond for both our engagement shoot & our wedding. I loved that you showed us how to pose for pictures so that we looked like the best version of ourselves. You are super friendly, professional, & passionate about what you do. We received so many compliments on our photos — I am so in love with your work! I know you are probably so sick of me gushing over the photos, but seriously, I don’t know how to express how unbelievable they are! To say that you were the best photographers we could have ever hoped for is an understatement. Not only are you talented behind the camera, but you are an absolute joy to work with. You bring so much positivity & energy … we forgot that we were even taking pictures because you made it so much fun! You are great at instructing how to pose & you notice every detail to make sure you’re getting the best shot. The pictures were completely & utterly perfect! 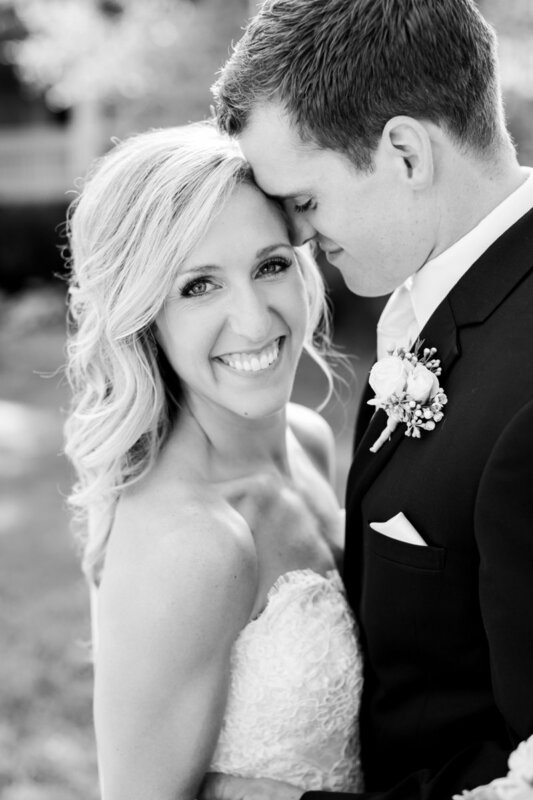 What we love most about the photos is that they capture the love & emotion so perfectly that we’re reminded of exactly how we felt every time we see them. From the second we first met you, we fell in love. Not only is your work beyond amazing, but you have the most calming & genuine personalities, & this positive energy that is infectious. Throughout the entire planning process, you were always there to answer questions, talk things through, or just give simple words of encouragement. You have the incredible ability to make anyone feel like the most important couple in the world. I don't know how to explain it, but you just made us feel really special. 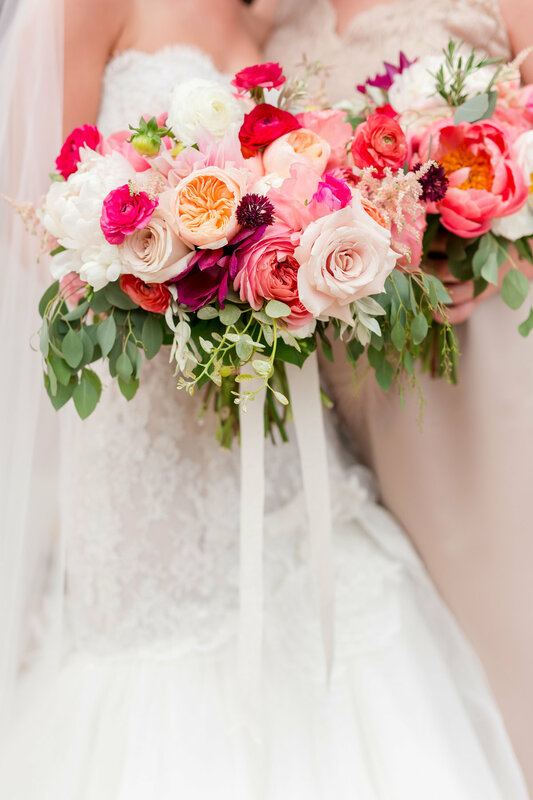 As a bride, that's such an amazing feeling — to feel like your ideas & opinions are actually being heard. You handled the rainy day situation with such grace & ease ... it was simply amazing to watch you work so well together. You made us feel SO comfortable in front of the camera … I could honestly go on & on about the two of you. You are seriously the best photography team out there! Our experience with you two was nothing short of remarkable. It is one of the best decisions that we made in planning our wedding. Not only are you genuine, creative, passionate, & reliable, you are true artists. Beyond that, you were an absolute JOY to work with from the very start. The photos of our wedding beat our expectations, which were set very high after seeing the awesome work in your portfolio. Your ability to capture the beauty of our outdoor setting given the unscripted circumstances of our day was incredible. 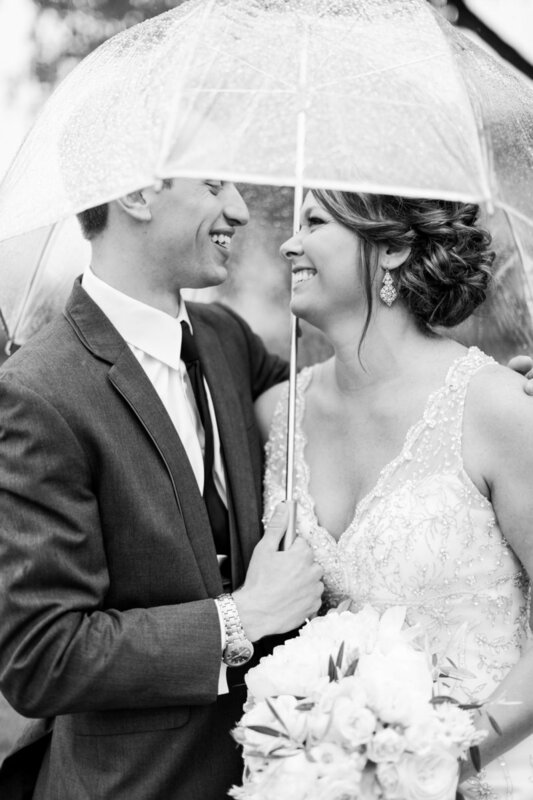 Your dedication was clear when you were shooting photos of the wedding party under the veranda while standing in the pouring rain, during a thunderstorm, on a ladder. You were soaked, but you captured unforgettable photos that masked the unfortunate weather we were experiencing. We were blown away by the details, the emotions, the feelings, & the stories the photos told. At the end of the wedding experience, what’s left are the photos. For us, that was the most important piece to the wedding + we are so glad we were able to work with the two of you! You are unbelievably talented at what you do & so much fun to be around! Even though our first meeting was via email since we were planning a long distance wedding, we KNEW right away that we had to meet you & book you for our wedding. You are such wonderful people who are such strong advocates of MARRIAGE — your passion for commitment is reflected in the images you capture. Our wedding photos were one of our top priorities & I had all the confidence in the world that you understood & valued what was important to us to capture during our wedding day. The day of the wedding, it was so reassuring when you arrived — like old friends coming to celebrate with us. We have received countless compliments on our photography from family & friends. I could not imagine having anyone else photograph our day & we are already planning an anniversary session with you in the years to come! I don't remember if I told you this already, but the days leading up to the wedding were extremely emotional for me. I felt like my wedding week snuck up on me so quickly and I was worried about the fact that I would blink & my wedding would be gone. Sure, the memories would be wonderful, but I couldn't seem to shake the emotions that came with experiencing such an amazing spiritual moment with Bill, for such a short period of time. I literally cried for days during what should have been a joyous time with family & friends. In fact, I stopped crying just minutes before seeing you two on Saturday morning. The minute you both walked in, you began to capture each & every simple detail ... things that I did not even realize anyone else would know were important to me. As you shot my earrings & necklace, my purse, my grandmother's rosary, and even the back of my hair, I gained an overwhelming sense of peace. For the first time in days, I felt that I could relax & live in the amazing day. Throughout the wedding, as Bill & I shared each & every breathless moment, I felt as if you two were guardians watching over us ... telling us that it was okay for the day to move forward ... that tomorrow we could relive every single kiss & tear & smile through your amazing images. Thank you both for capturing our flawless day. Most importantly, thank you for giving me a sense of peace which could only be felt by working with two people as caring & beautiful as you! Where do we even begin with you two? You were the first vendor we booked after getting engaged because we just KNEW you were the perfect couple to capture our big day. During our engagement session, you made us feel like that was exactly where we should be. You are passionate, talented, AUTHENTIC, fun, honest, & loving! Thank you for getting to know us & our love story — you made us feel so loved! 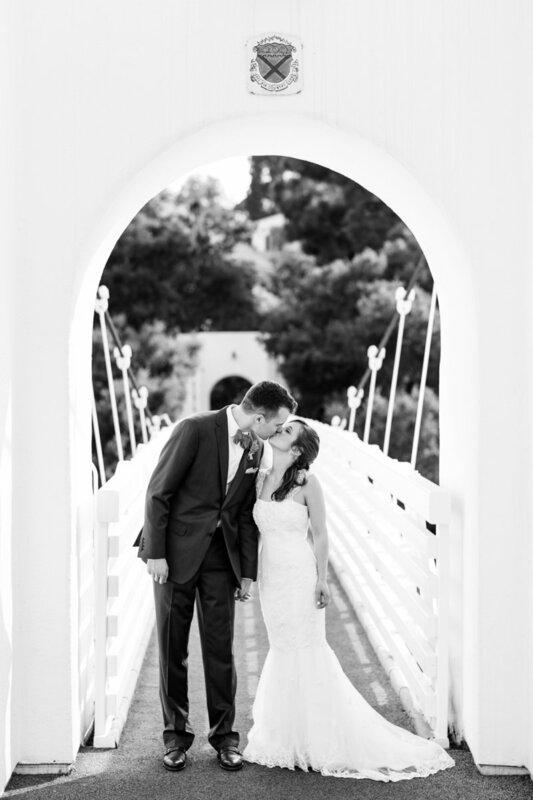 As soon as you arrived on our wedding day, I knew every detail & precious moment would be thoughtfully captured. You blended seamlessly with our wedding party & guests — we received so many compliments about what a JOY you were to work with! Every photograph is absolutely stunning & we have so many favorites … I don't know how we'll possibly decide! Thank you both SO much!